A new movement is underway in the United States. Many of those who make up this movement are looking for a road to revolution. Revolution, which is part art and part science, is a complicated process and not all movements that start down the path towards revolutionary change end up that way. And with capitalism being more of a global system than ever before, now more than ever revolutionaries have to study the process globally. We hope that this pamphlet can make a small contribution towards understanding the “science” part of revolution and that it can be part of a larger dialog on what has worked and what hasn’t. 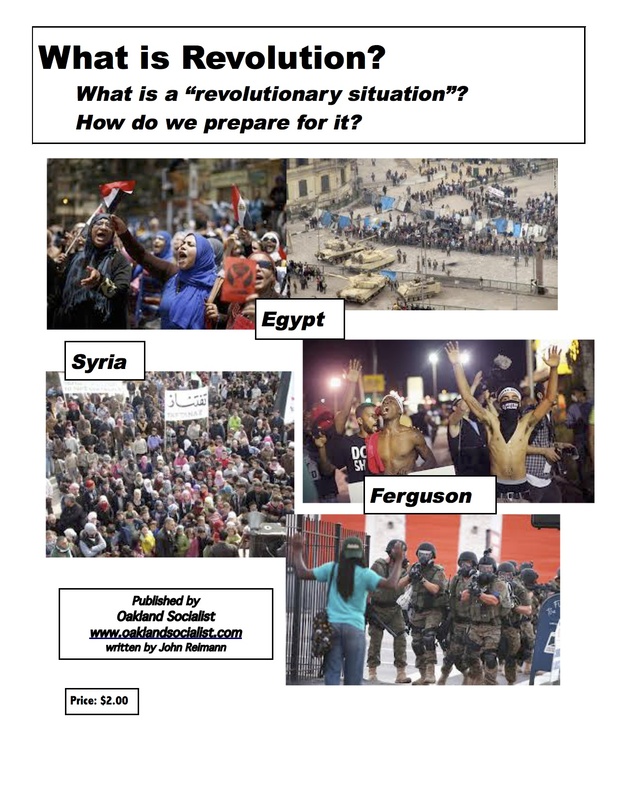 Read and/or download full pamphlet here: What is Revolution?